The macrofossils that appear abundantly from the layers provide a detailed and clear record of many faunal elements, while the property reveals more than 100 individuals of Homo erectus, dating back to at least 1.5 million years ago. These fossils show human evolution process during the Pleistocene period, particularly from 1.5 to 0.4 million years ago. Inhabited for the past one and a half million years, Sangiran is one of the key sites for the understanding of human evolution. More discoveries of stone tools have been made since. These human, fauna, and stone tool materials were deposited within its unbroken stratigraphical layers. 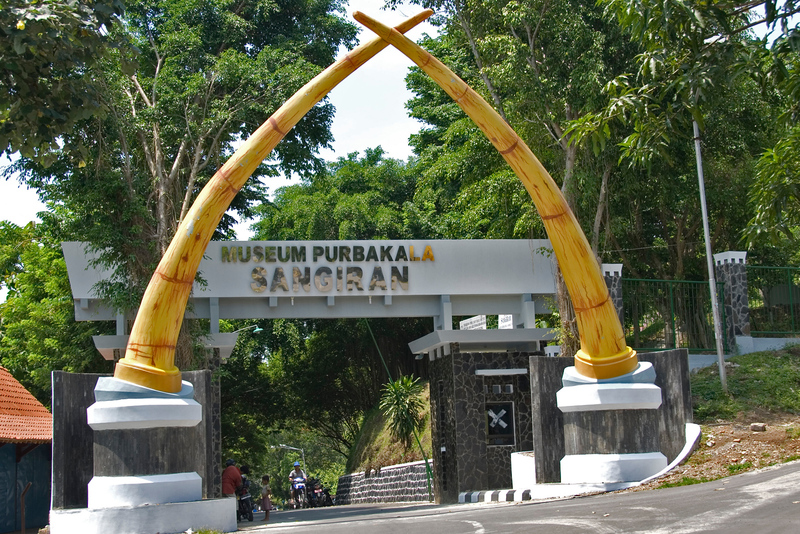 As a significant paleontology location, Sangiran is worthy of World Heritage status. As a tourist attraction, it was really a waste of time. This photo is one of two photos I have from Sangrian and all it is is the entrance to the site. The only thing to see is a small museum, which mostly is replicas of the actual fossils found at the site. The museum looks like it was left unfinished sometime in the 1980s. All of that and it also required a rather long and expensive taxi ride from Yogyakarta. I ranked this as my #2 most disappointing World Heritage Site. The Sangiran Early Man Site in Indonesia is a popular archaeological excavation site. It is located in Solo River Valley in Java, Indonesia. 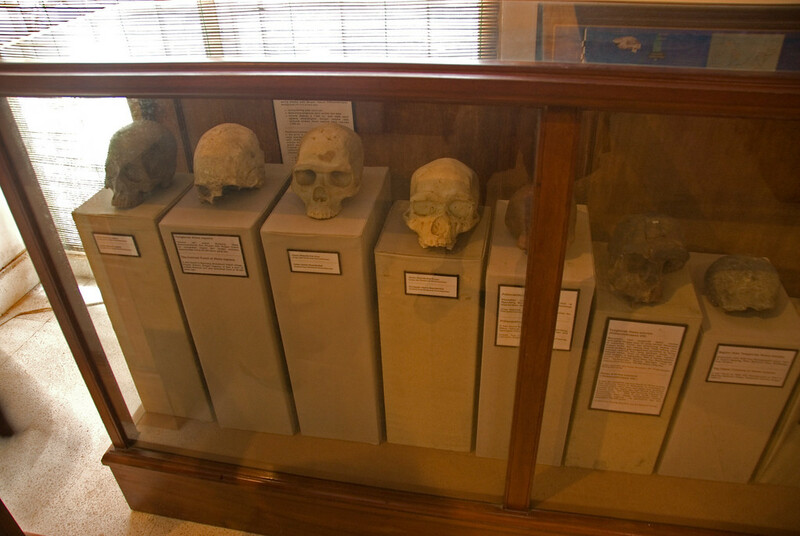 In 1995, the site was added to the list of UNESCO World Heritage Sites in Indonesia citing its cultural value as an important site for studying fossil man. It is ranked along with many other popular archaeological sites in the world such as Willandra Lakes in Australia, Zhoukoudian in China and the Sterkfontein in South Africa. The first round of excavations on the site was conducted in 1936. There were a number of human fossils that were dug up on the site. The findings were dubbed as “Java Man” and Homo Erectus. There were also fossils of animals that were found on the site, which were believed to be the same animals that were hunted by the ancestral humans that lived in the region. 1883: The preliminary field work was executed at the site as headed by Dutch paleontologist Eugene Dubois. At this time though, he was unable to uncover any fossils. 1934: Anthropologist Gustav Heinrich Ralph von Keonigswald took over the study of the site. Excavations were done in the site over the course of a few years and there were some fossils found. These fossils were believed to be the first known human ancestors. 1977: The Indonesian Government declared as Protected Cultural Area about 56 kilometer square of land area on the site. 1988: A museum and conservation laboratory was established on site. 1996: Sangiran Early Man Site was declared as a UNESCO World Heritage Site. 2011: The Minister for Education and Culture in Indonesia officially opened the museum and visitor center in the area. 2012: The President of Indonesia and his cabinet members visited the museum. If you want to visit Sangiran Early Man Site, you must travel 15 kilometers from Surakarta to get to the town of Purwodadi (located in Central Java). From there, you will pass along a small market and poor rural area in order to get to the museum. You can expect to get to the Sangiran Early Man Site from Surakarta for about 45 to 60 minutes. You can take several buses that travel from Surakarta to Purwodadi. You can ask to be dropped at the turnoff to the museum. From there, you can take a motorcycle taxi that will take you to the museum for a modest fee. The museum is open from Tuesdays to Sundays from 8 AM to 4PM. It is closed on Mondays. View the complete list of UNESCO World Heritage Sites in Indonesia.